It is the most wonderful time of the year …. Christmas has come to trail town and it is looking like a white one, at least if you turn your gaze in the direction of the centre piece of the biggest celebration of the Trail Ultra Calendar Year; Mont Blanc. But before we get down and nerdy with the U to the T to the M to the B lets do a quick round up of last week's events because just as i expected it was not all quiet before the storm. Yeah so of course the 'nevernotracing' SkyRunners were not gonna be bothered about it being the weekend before the weekend and pulled a classic out of the bag. The rather long (for a skyrace) and extremely technical course of Trofea Kima runs over 7 alpine passes, some of which the runners need to use fixed chains to get across, and does not dip below 2500 m above sea level before the last stretch down to the finish line. In other words it is a bit of a beast. Hillary Gerardi who showed her strength over difficult terrain by setting a new course record on the Tromso Skyrace a couple of weeks ago seemed unfazed by the profile of Kima and raced herself to another victory and nearly another course record by finishing in 7:36:21 only a mere minute behind Nuria Picas time from 2016. Ragna Debats tried to keep up with Gerardi in the early stages of the race but fell back through the field and in the end it was a battle between Robyn Owen from South Africa and Nepal's Mira Rai for the silver. The previously unknown Robyn Owen showed some real promise for the future by pulling away from Rai on the final stretch and came in as second lady in 7:39:01. American Brittany Petterson finished fourth and rounding up the top 5 was homegirl and fabulous trail-photographer Martina Valmassoi. Nuff 's' nuff back to that white mountain and the valley of Cham. Sadly neither last years champion Nuria Picas or runner up Andera Huser has fully recovered from ther injuries sustained earlier in the year and will not be toeing the line in Chamonix to defend their titles. The 2016 winner Caroline Chaverot has also been plagued with physical problems during 2018 and although she is now saying she will be running i do not think she will be a top contender. American sheros and WS100 queens Kaci Lickteig, Cat Bradley and Magdalena Boulet will likely end up on the top ten but my strongest yankee in the field is last years CCC victor Clare Gallagher. Gallagher has had some unsuccessful races in the European mountains earlier this year, she was struggling with nutrition at Lavaredo and fatigue at the World Championships in Pennygalosa but if she's managed to get control of those issues out she will definitely be one to look out for. Homegirls Emelie Lecomte (second at Diagonale des Fous last year) and Juliette Blanchet (3rd at 2018 edition of Miut) both have the strength and endurance to be placing high in the rankings as does the multiple UTMB podium finisher (2nd in 2016, third in 2015) Uxue Fralle from Spain. Personally I don't think any of them will stand a chance against Sweden's Mimmi Kotka. Being a Chamonix resident with straight out wins from her 2018 race entries so far I think she will be unbeatable. Last year we saw her win TDS with 2 and a half hours and she also holds the course record of CCC which she won in 2016. A first place at UTMB should be the next step in her Mont Blanc career and unless something drastic happens I think we will see her on the top of the podium by the end of the week! Team GB has a very strong group of mountainous bad asses out en masse for this legendary race and they should be able to place high up the rankings. Holly Rush, Jo Meek, Sophie Grant and Beth Pascall are all very consistent runners and with a good day they should have the potential to run home a place in the top 5. This course which is known for being more rugged than that of UTMB and CCC tends to attract a field of more technical runners. Her fellow american and double UTMB champion (2013 & 2014) Rory Bosio is another gal with the grit and leg strength to run well over long distance and the rocky underfoot of TDS should suit her well. 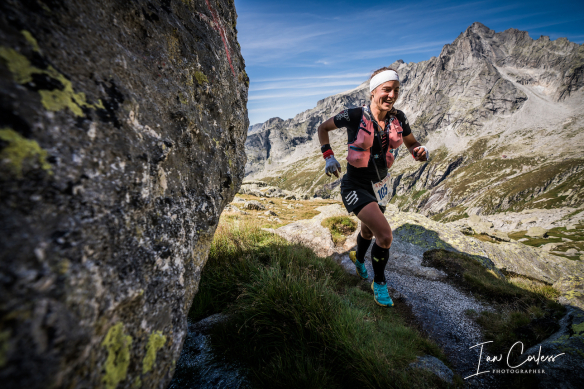 If Gotz will suffer from over racing and Kimmel won't start then this could be home lady Audrey Tanguy's big chance to up her second placings at MIUT and Marathon Du Mont Blanc from this year and end the summer season with a victory. Yet another american with a question mark next to her is Yiou Wang, she is out on location in Chamonix but is still talking about her ankle injury from earlier in the summer as an ongoing niggle on social media so it remains to be seen if she will toe the line on wednesday morning. Starting in Orsiere before joining the tail of the UTMB course into Chamonix the shortest course of the UTMB week provides terrain for a fast and furious mountain race. With that in mind this race should belong to the Queen of short races on rugged underfoot and winner of this years Marathon Du Mont-Blanc; Ruth Croft. The 2018 Lavaredo and Tarawera champion Kelly Wolf could prove to be a challenger though and runner up from this years WS100 Lucy Bartholomew should be able to cause problems for Croft too. Last years winner Eli Gordon from Spain has had a bit of a quiet year so far but is back to defend her title and I think it will be an exciting race between those four at the top. Below is the race schedule for the week and do not forget to tune in to the live coverage over on the UTMB web page, it is a visual treat to say the least. Friday 9.00 (CET) CCC, 18.00 (CET) UTMB, First CCC finishers expected by 20.00. Saturday 14:45 First UTMB finishers. Bonne Courage to all ladies lacing up to tackle the different courses over the week, you are all sheros and i wish i could feature you all! The story with this marathon is, kind of sadly and kind of funnily, not who won it but rather how many 'cheaters' there were. In 2017 the race made headlines after 1000's of runners (the numbers vary from report to report but around 20%) were found to have skipped timing mats and got their medals without covering 26.2. Marathon Investigation says that even more runners did the same this year. Local reports have been taken down from Mexican websites but exist elsewhere - eg. on this Canadian site. So, why so much cheating at this race? Well it seems that the organisers are the victim of their own cool ideas. "Since 2013, the official finisher’s medal has been in the shape of a letter. In 2013, it was “M” with the next year being “E” followed by “X” and then “I”, and last year “C”. The letters of the finishers medals eventually spell Mexico, with 2018 being the final letter". I love that idea! What a great way to keep people coming back. It's such a shame it backfired. Un muy mal y largo día conmigo misma... pero contenta de haber cruzado otra meta de #42.195Km #MexicoCityMarathon 2018 🏃🏻‍♀️🇲🇽 Muchas gracias a todos los extraños y conocidos por sus porras, alimentos e hidratación 🙌 porra, sin ustedes no somos nada ! Whilst we're all about the women here on WRR, an honourable mention must go to Richard Waldron of Southampton AC who came third in 2:38:44 and Peter Hames of Clapham Chasers (London) who took 10th in 3:01:16. For the women though it was a Finnish white wash with all but for of the top 25 ladies being from the host country. Hong Kong (x2), Estonia and USA were the only other countries to feature. From her twitter and my limited abilities to translate Finnish (i.e None) it seems she the winning lady, Elina quite likes running barefoot - she talks about a 10 mile barefoot run....YOWCH! Fancy running around the blue-post-boxed, black number-plated, temperate, flower filled beauty that is Guernsey? I sure do. There's even a speed limit of 35mph so the post race recovery runs will feel nice and safe! While the official results aren't up yet, FastRunning.Com reports that it was won by local lady "Ulrike Maisch. Maische is relatively new to the sport at the age of 40, but won in a strong 3:03:14. Her win represented her third title on the island, a phenomenal feat considering she only started competing three years ago!" Anyone speak Japanese? I'm guessing there's some results in here somewhere but I sure as heck can't find them.